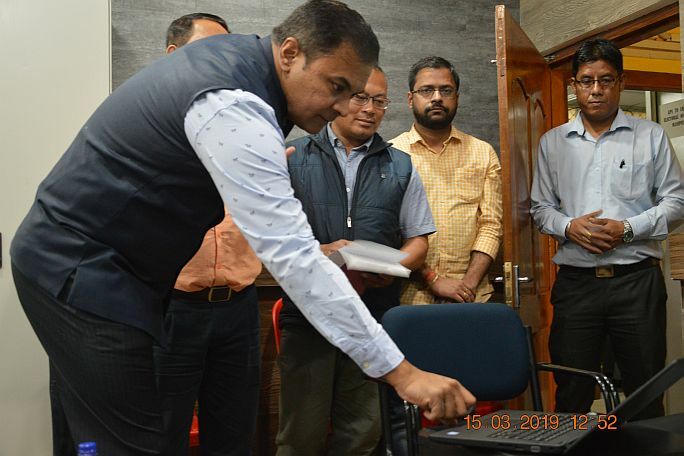 The eAtlas for Manipur - a eGovernance dashboard based application was successfully launched today by Chief Electoral Officer, Manipur Shri Prashant Kumar Singh, IAS at his official complex at Imphal, Manipur. 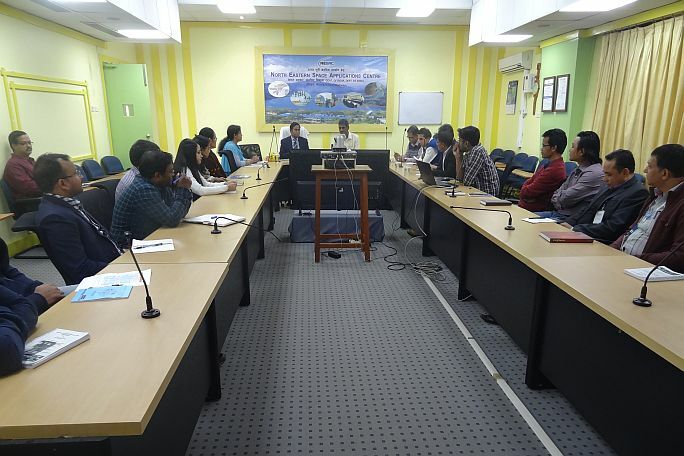 The spatial dashboard application was developed by NESAC in close collaborations with Manipur State Remote Sensing Centre. The application will be used by the CEO and respective DEOs during upcoming LS election 2019 for their election management. The event was attended by various officials from all districts of the state. Director of MARSAC, Dr N Randhir Singh delivered his formal welcome address and narrated the importance of having such eAtlas Applications in the state. 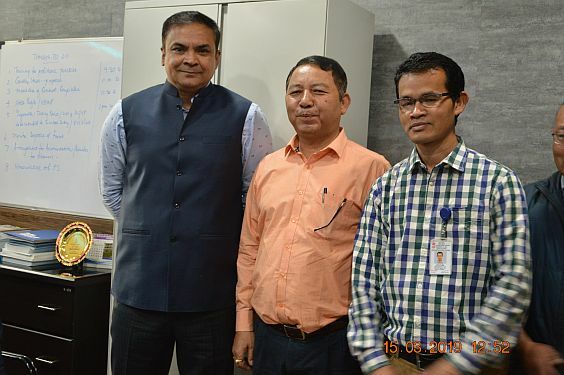 He's accompanied by his official staffs Shri Kuseshwor, Shri Nganba and Shri Gagan to extend their technical and valuable support for successful launching of the eAtlas application. 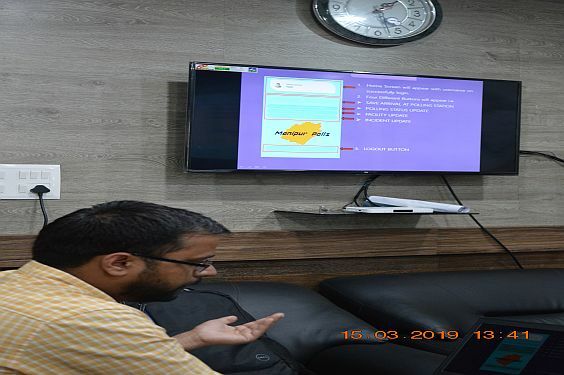 Shri PS Singh of NESAC gave detail overview on major features of eAtlas dashboard and various modules available within it such as map analytics, live poll process monitoring, ability to print custom maps and mobile app for event and incident monitoring. 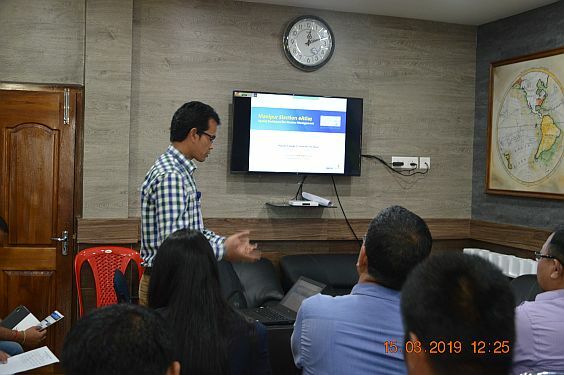 Shri Avinash Chouhan, NESAC further gave live demonstrations on these modules. 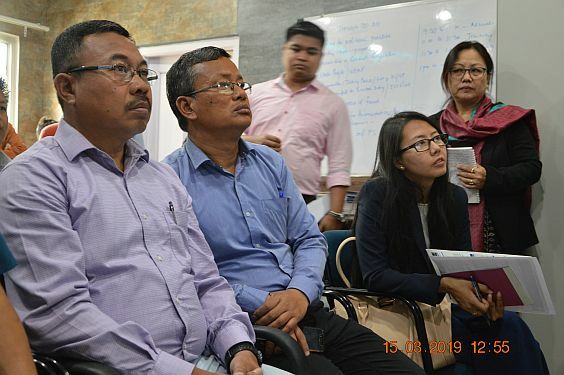 The CEO, Manipur has well appreciated and lauded our effort for this new space based election planning tool.